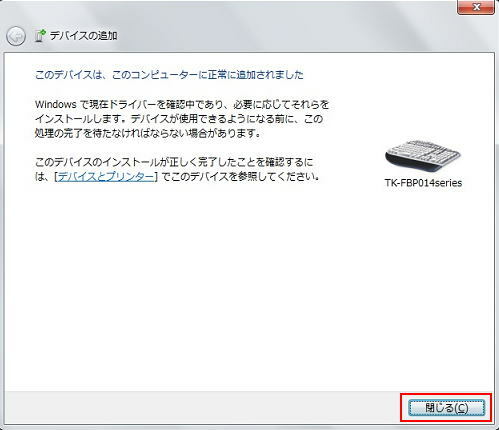 ※Please note that ELECOM doesn't support Bluetooth adapter software from other companies. Please refer to the manufacturer for the directions etc. 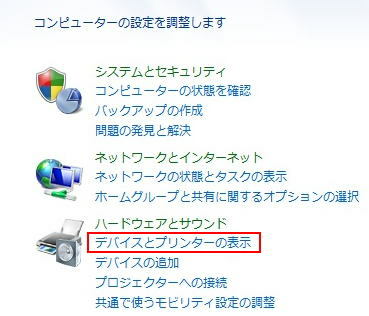 ※Windows7 is used in this example. When your keyboard has a SPP/HID switch button, please switch it to the HID side. 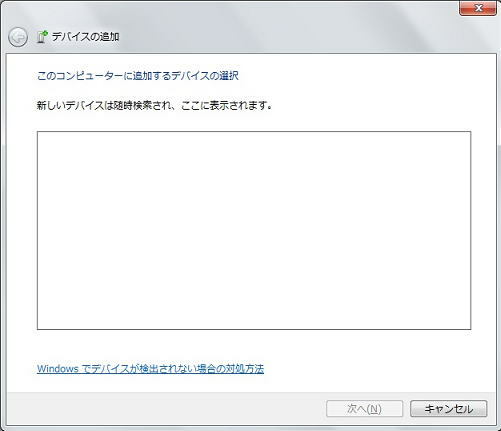 ※SPP mode is not available for Windows computers. 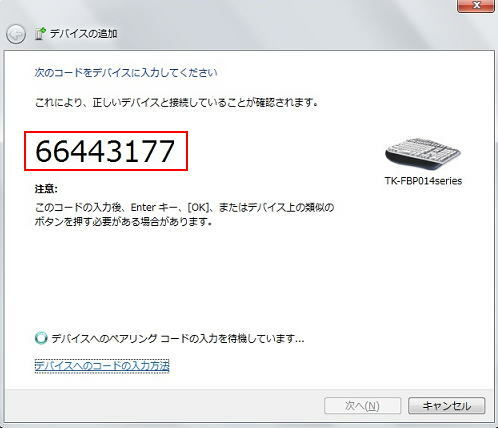 1． For most of the Windows XP computers, Bluetooth adapter is required to connect with Bluetooth keyboard. Please refer to Bluetooth adapter manufacturer for the setting directions. 5． Computer turns on Pairing mode. ※It searches for available Bluetooth devices around you. 6． Press CONＮECT button on your keyboard. 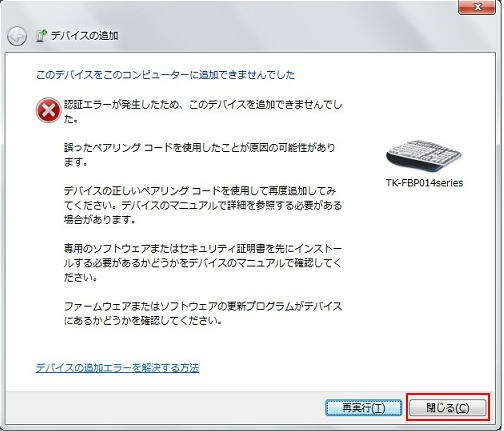 ※Please see the manual to locate a CONNECT button. 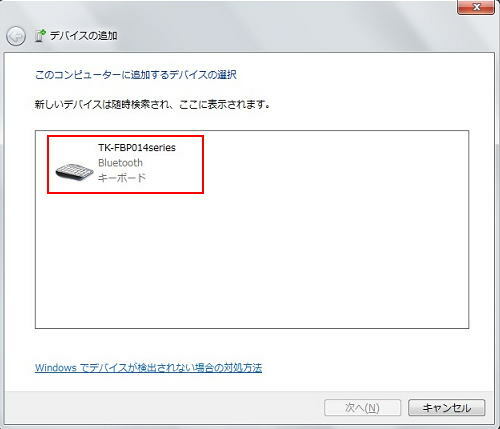 7． Your keyboard icon appears when it is detected from your computer. When your device is not detected please once cancel and try again. 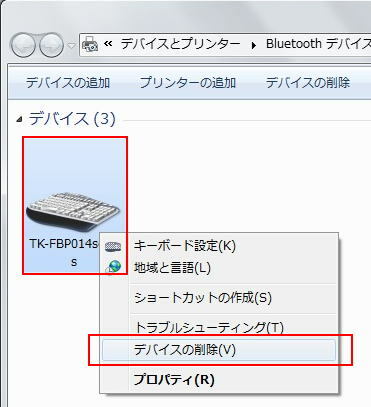 Please check if Bluetooth is enabled or if your computer really has a Bluetooth function. Please refer to the computer manufacturer. 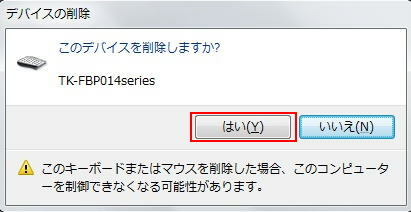 ※Please DO NOT use ten-keys to enter the passkey. Please try to type with the keyboard and see if it works properly. Please close the window (click x at the upper right corner) and try the steps again. and it may be causing troubles when recognizing. Please see the directions below to remove the already remembered pairing information.